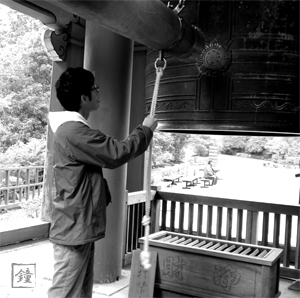 There are thousands of Temples in Japan and they got bells. We were culturally, religiously colse to these bells, for example Japanese used to hear the sound of Bells on New Year's Eve. And an idea has just poped up. What is good sound of Bell and what is not. Would it be possible to analyze it? ©KANENOTE 2009 All rights reserved.